We are delighted to announce that McGoff Construction have been awarded 3 star accreditation from Best Companies, the employee engagement specialists. A 3 Star accreditation is the highest standard of workplace engagement, representing organisations that truly excel. This fantastic 3 star has been awarded to the Group for achieving a high score during the Best Companies survey, which examines the internal structure, culture and working of the business, from the perspective of those who play a huge part in its success, the employees. The survey reveals how employees really perceive their work environment and shows the Groups dedication to well-being and development. It’s a credit to our employees who display an enormous amount of drive and passion for the work they do. We have seen a increase in headcount over the past 12 months to meet the demands of our business growth, our main focus has always been to ensure that we keep the ethos and values of McGoff Construction at the core of our business. Being rated in the UK’s Best Companies is testimony of how our company culture of improving and developing our people is truly ‘extraordinary’, this in turn reflecting in the service we offer to all our customers. Awarded to organisations with a BCI score of 738 or higher, the 3 Star accreditation reflects ‘extraordinary’ levels of workplace engagement. This accreditation will sit as one of our most precious awards, as it celebrates everything that is truly special about McGoff Construction. Our journey is by no means over. 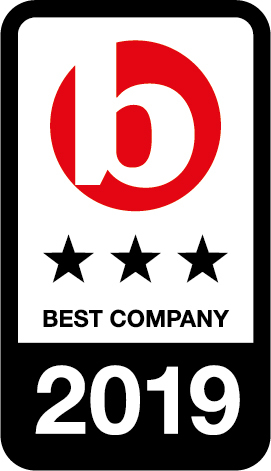 Watch this space to see whether we hit the Sunday Times Top 100 Companies to Work For List! © 2017 McGoff Group Ltd.